Chemicals and innovation follows chemical company innovation strategies, investments, financing, people and awards. It is global in coverage and written by John Baker, global editor at ICIS, the chemicals and energy news and information provider. Recent news from Clariant that it is investing Euro50m in a new global innovation centre in Frankfurt, Germany, came with the statement that "our product innovations will also address current mega-trends such as renewable energies, energy efficiency and renewable resources with a view to opening up new business opportunities beyond current markets." Now, I've watched the rise of the mega-trend concept amongst leading chemical producers for a year or so now, as first one then another and then many companies jumped on this particular innovation bandwagon. Not that there is anything wrong with the concept of aiming your R&D spend in markets that will provide large markets for new technology platforms, rather than purely incremental growth. Dow Corning has been a particular leader in this respect. But there is a sense that a herd mentality has set in here now - with some proponents really not up to exploiting the mega-trends they have identified, given lack of core expertise in some vital areas. I discussed this idea with Alasdair Nisbet of Lazard bank not so long ago - you can see his views in this ICIS article. A quick search over the strategy pronouncements of the the leading innovation-centred chemical producers shows that many are focusing on the same mega-trends - not so much room there to carve out a competitive edge. My point is that to exploit a growing mega-trend a company needs a wide range of associated innovation competencies - some of which may be lacking. This may, as Nisbet predicts, spur M&A activity as producers try to buy in technology to widen their competency. Or it might really lead to step-out innovation in new areas. Which I guess is where we get back to the Clariant investment. 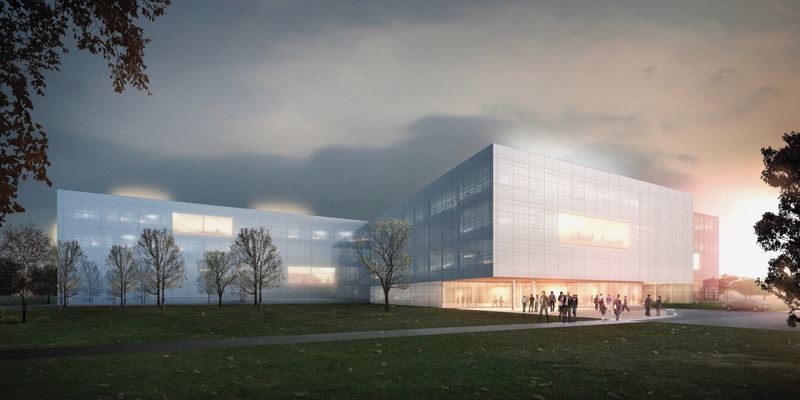 The new innovation centre will house 500 scientists and business personnel, in open-plan architecture designed to combine chemical research and development activities with application-oriented labs and technical marketing functions of several business units. In this respect it looks to emulate Evonik's science-to-business centre philosophy which has garnered critical acclaim in recent years. But whether anyone can forge ahead with the mega-trend bus is now a moot question, as everyone seems to be onboard and heading in the same direction! "Killer paper" holds promise, and danger?